The Rockport Film Review: "The Exorcism of Emily Rose" is a Must See! This movie is based on the true story of Anneliese Michel who died during an exorcism performed in Germany in the late 1960s and the trial of the priest who was accused of her murder. Some details have been changed for the movie but the heart of the story remains Science takes on religion in a gripping courtroom throw down. Starring Jennifer Carpenter, now of "Dexter" fame, as Emily Rose a smart and centered farm girl who goes off to college only to be either suffering from a number of medical conditions or possessed by demonic spirits. This movie is stocked with a roster of very accomplished actors such as Tom Wilkinson as the accused Father Moore, Laura Linney as his attorney, and Campbell Scott as the prosecutor. The story is centered on the trial of Father Moore and uses flashbacks to tell the story of Emily Rose and the circumstances surrounding her death. The prosecution contends that Emily was suffering from something called psychotic epileptic disorder. Which would explain her hallucinations, her trance-like states, and violent seizures. While Father Moore is a loving and caring priest with a perfect record did he willing put Emily at risk by ignoring her possible medical conditions and relying on faith alone? 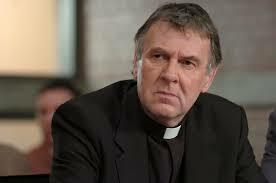 Father Moore does tell Emily to stop taking her medications because it clouds the mind and prevents the exorcism from working. When Emily dies the official cause of death is dehydration and malnutrition. Defense attorney Erin Bruner takes the case with the promise that she will be made a full partner at her firm. She is coming off a huge win in which she got off another murder suspect. She meets up with Father Moore in prison he refuses to take a plea deal, wanting it to go to trial to tell Emily's story (good thing or there wouldn't be a movie). Erin lives alone and after taking the case strange things start to happen every night at 3 am, the witching hour, leaving her to start examining her faith. The story investigates both sides of the case and each does have very good arguments. Science has been batting religion since the beginning of time and this movie doesn't give any easy answers. The acting is top notch and takes the issues seriously. It all depends on what you believe and goes to the core of faith itself. It is one of the better movies out there on the subject of demonic possession. It does have a lot of good scares and is loaded with a creepy and ominous feel. 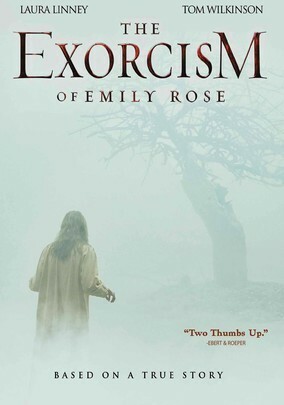 "The Exorcism of Emily Rose" is widely available on all formats and is a great watch so check it out!